It’s finally here, my new Claescaster! 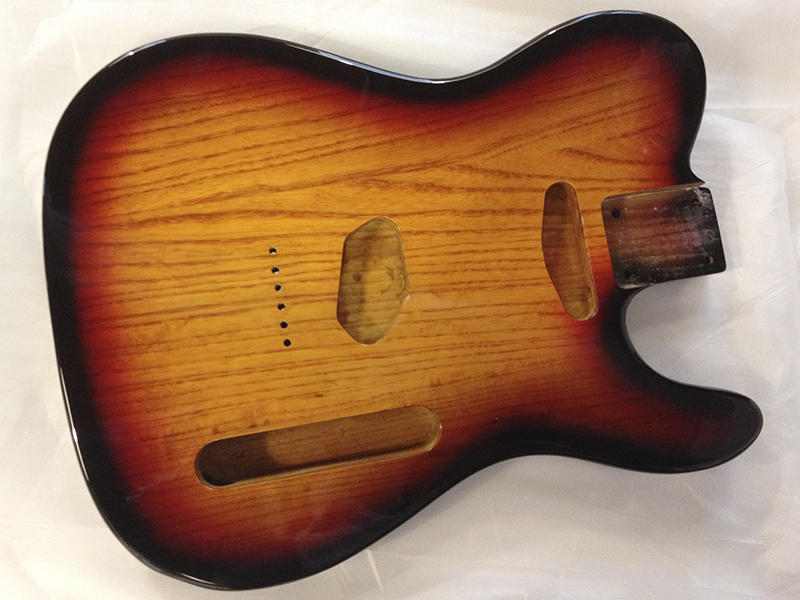 The Mighty Mite swamp ash body that I ordered from USA just arrived to my office after spending a month in Spanish customs. It’s not as bright and lovely looking as in the eBay picture but I didn’t expect it to be either since it was a photo taken with flash. It still looks really nice, the grain is just amazing, the 3-tone sunburst is even and the weight is great, it feels really heavy and solid. Now let’s see if the neck from the old Claescaster and all the new hardware and electronics I bought fits. I ordered the Tonerider Vintage Plus pickups from Northwest guitars about two weeks ago but they managed to send out a pair in nickel so I had to send them back. Hopefully the new gold ones will arrive this week so I can spend the weekend putting the Claescaster together. Happy times. I have slowly started to put the Claescaster together, pretty much everything is fitted now except pickups and neck, I’ll try to get some images up. I had a lot of problems with the neck. 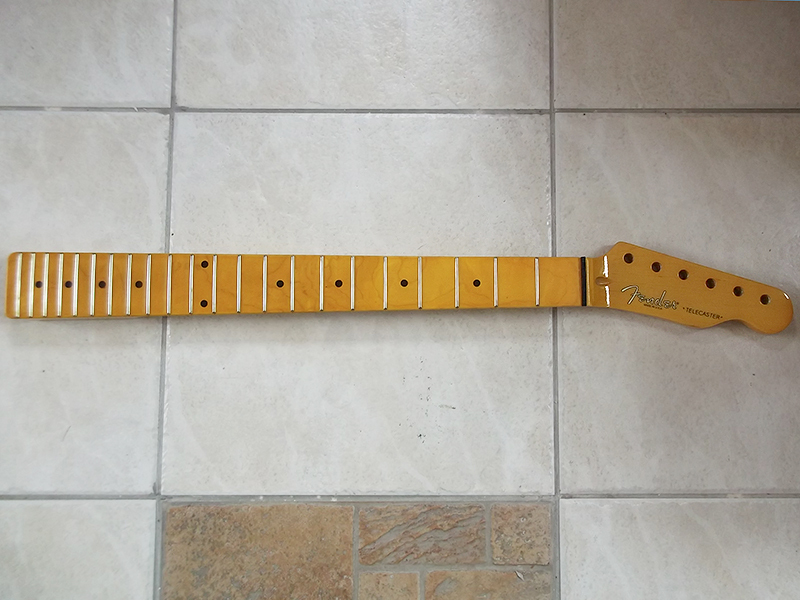 First I thought I could use the old Claescaster neck until I could afford to buy an Allparts TMNF-FAT, they cost around 280€, but it didn’t fit. I carved off 1 mm on the bottom side and managed to get the neck to fit in the pocket but the holes didn’t line up. To fill and re-drill the holes felt like too much work, especially since I eventually would like to put it back on the old guitar and still have the original Claescaster as a backup. I took off some of my other guitars necks but nothing fitted, maybe it would have been weird with a big headed Strat head on it anyway. I searched eBay high and low for cheap necks but the big problem as always is the decal, I kind of like to have the fake Fender logo on them and people tend to charge a lot for fitting a decal, if they can do it at all. I guess I could have fitted one myself but since I want a layer of lacquer over and I don’t know where to get that here it was easier to find one with a decal already fitted. I emailed First Avenue Guitars, the kind Yorkshire lad that I bought the old Claescaster neck from, he did a great job with the decal last time. He managed to dig this neck out of the basement for me, 50’s decal fitted and 8.5 mm holes for the machine heads so I can fit vintage Kluson style tuners. It’s a 22 fret 2-piece neck of Canadian maple, I would have preferred a 1 piece without the overhang but for £58 (70€) including shipping there wasn’t any point in arguing. 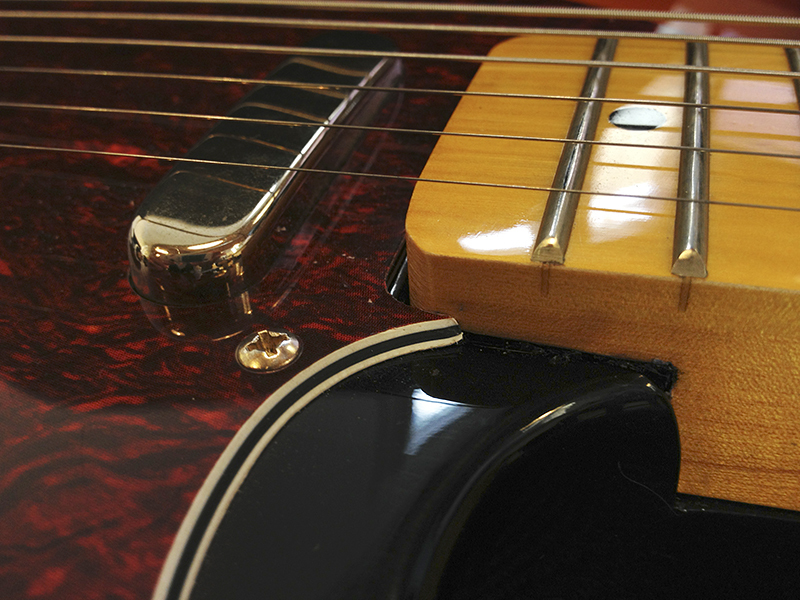 I got some gold machine heads from Northwest guitars and now I just hope that it will arrive before the weekend so I can finally get my new Claescaster up and running. I received the Tonerider Vintage Plus pickups this morning so I might fit them tonight if I get a chance. I managed to fit the old neck back on my original Claescaster and patch up the damage pretty well. The part I carved out to fit on the new body has been painted black and then filled with some black tape to keep it snug in the pocket.